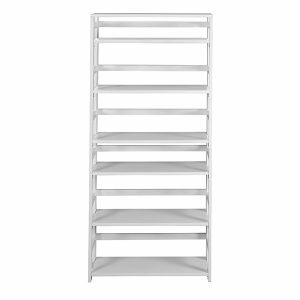 The dorm-room ready Flip Flop collection saves time and money. 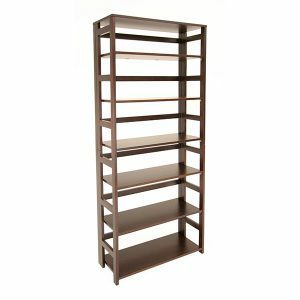 These folding bookcases unfold into place right out of the box and assemble in less than 5 minutes. 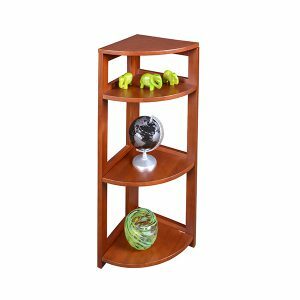 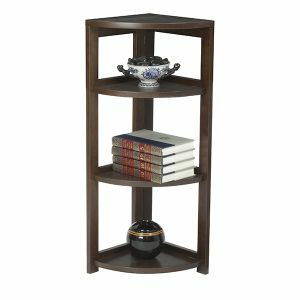 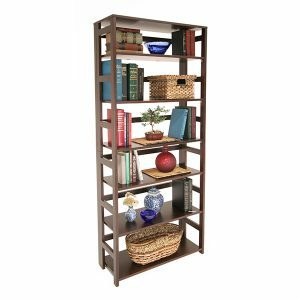 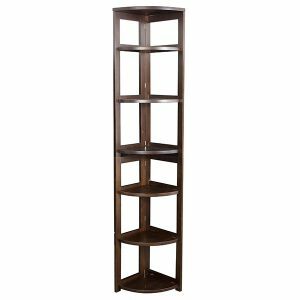 This 34″ High Bookcase is constructed of a solid hardwood frame and is finished in a classic Medium Oak hand-rubbed veneer. 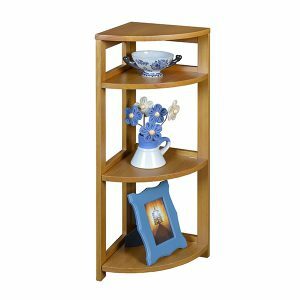 Its 3 fixed shelves flip down from storage position and rest securely in place on shelf supports. 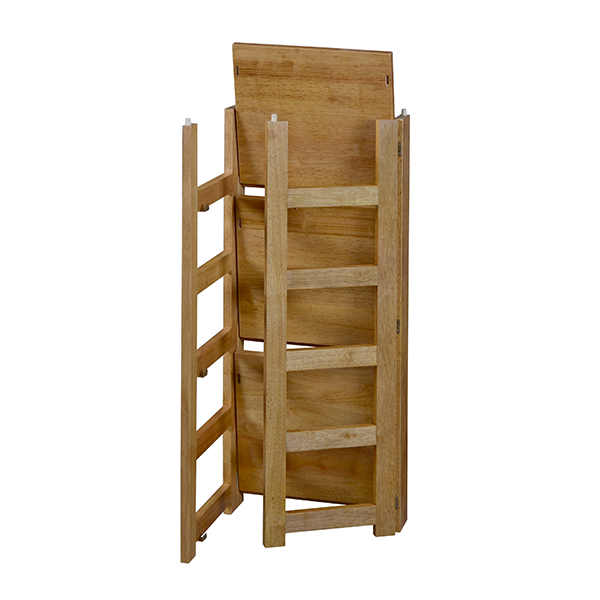 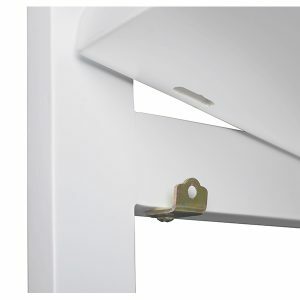 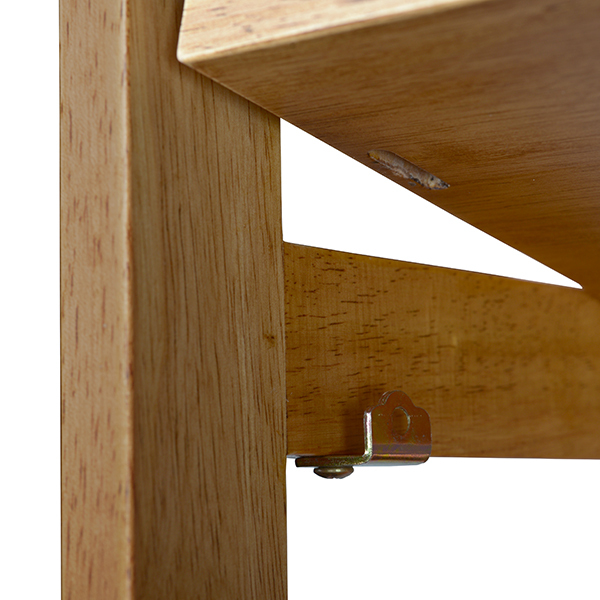 A top shelf attaches securely without the use of tools and assembly is finished! 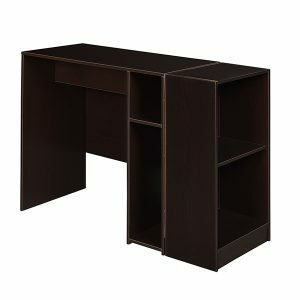 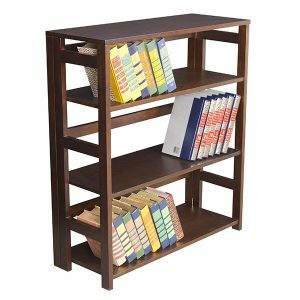 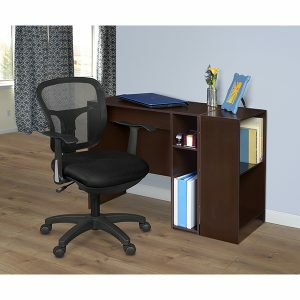 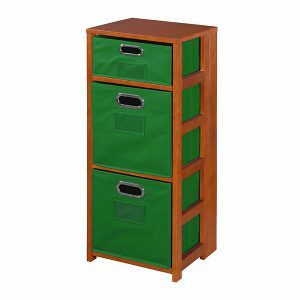 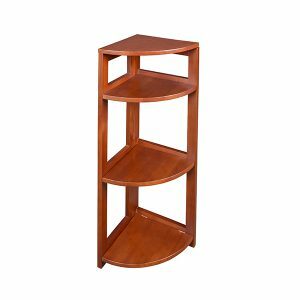 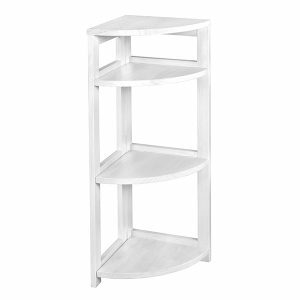 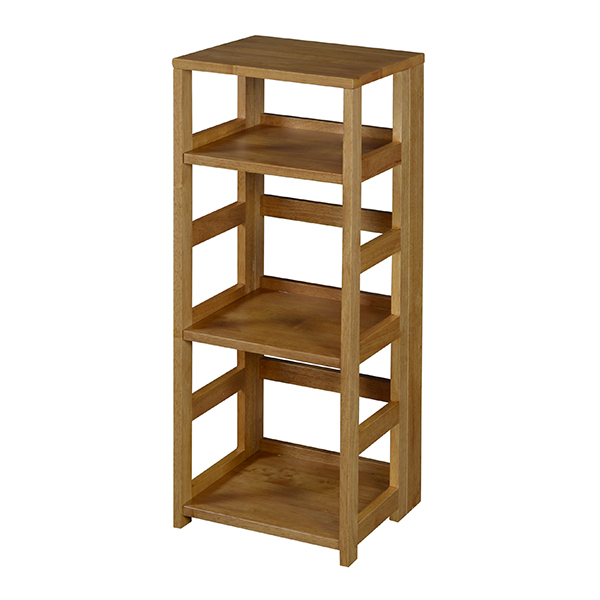 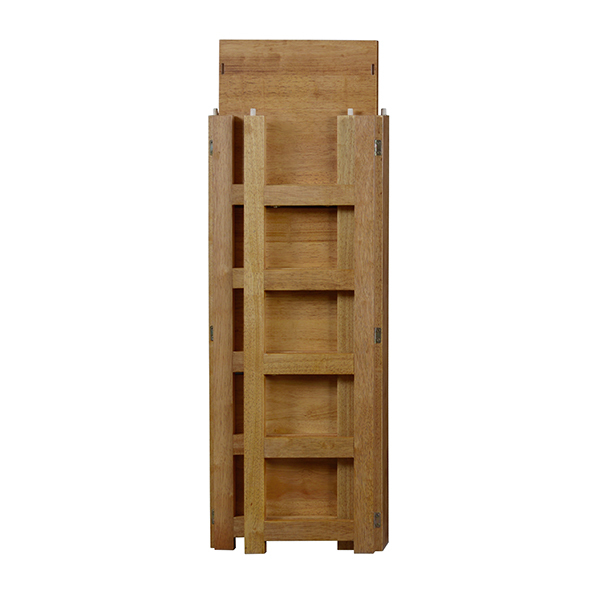 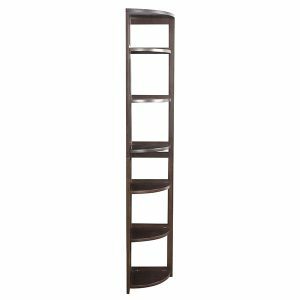 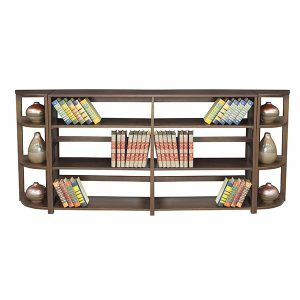 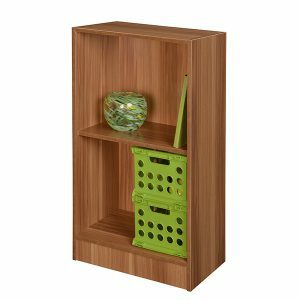 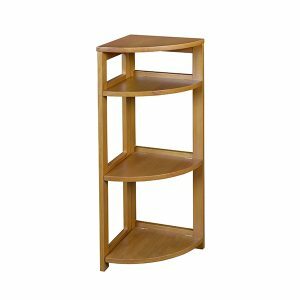 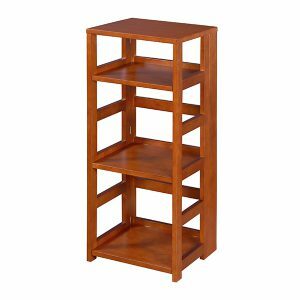 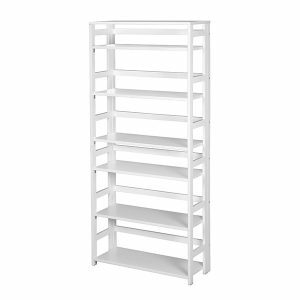 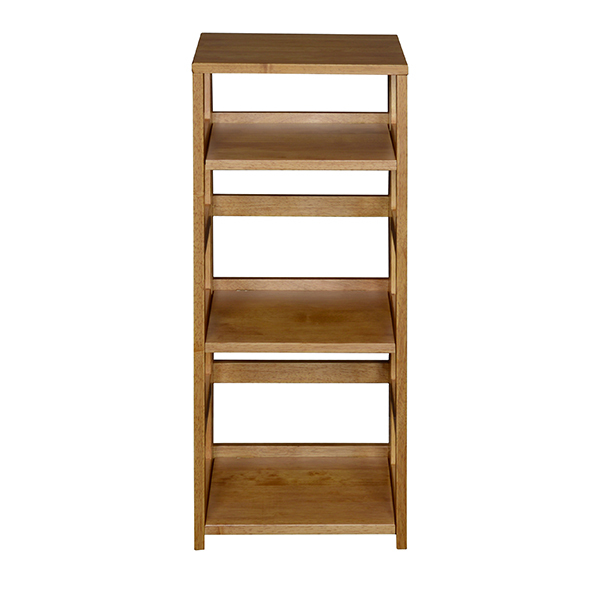 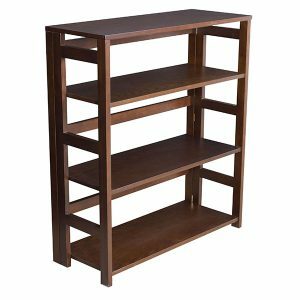 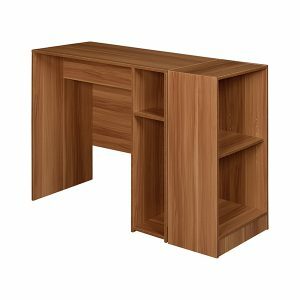 Perfect for the home and office alike, this bookcase looks great next to sofas and desks and folds up for easy transportation and storage when not in use. 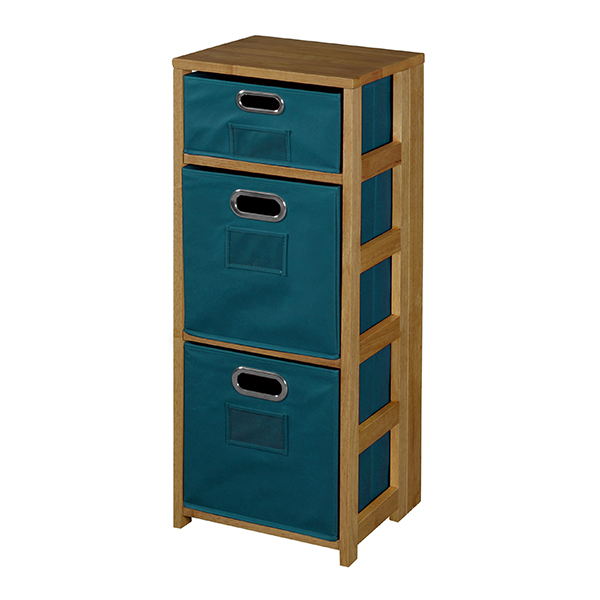 Maximize storage space with optional Niche Foldable Fabric Bins, which fit seamlessly on the shelves.